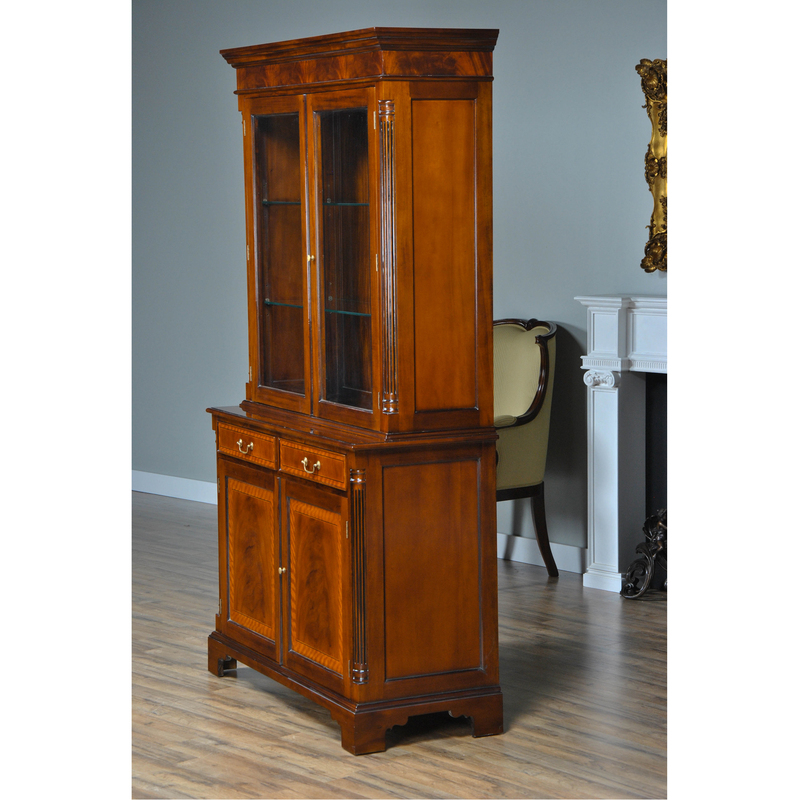 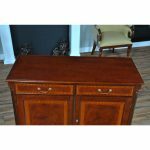 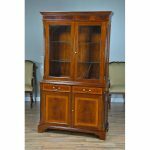 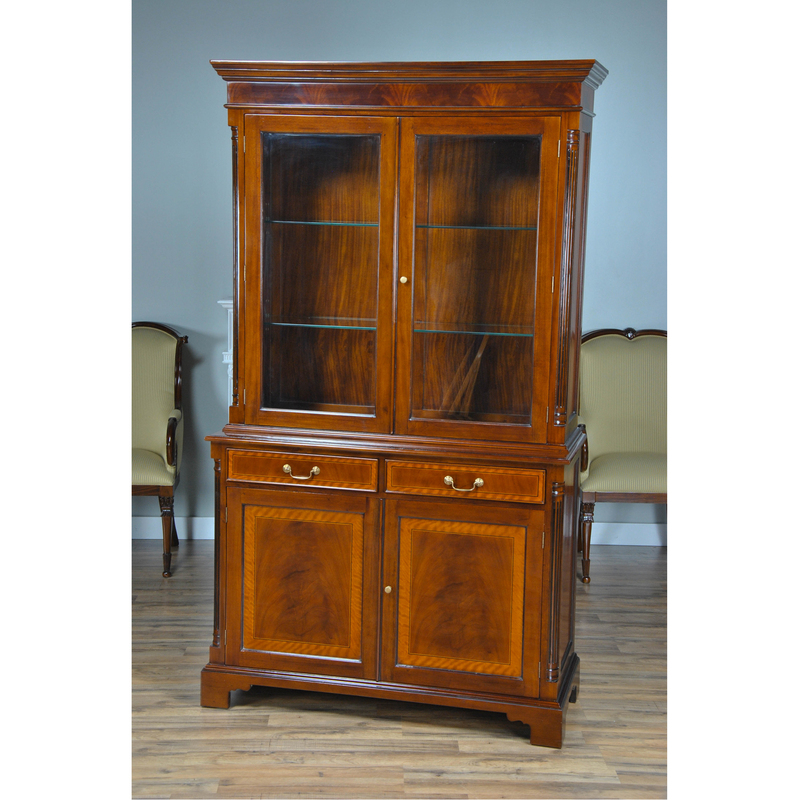 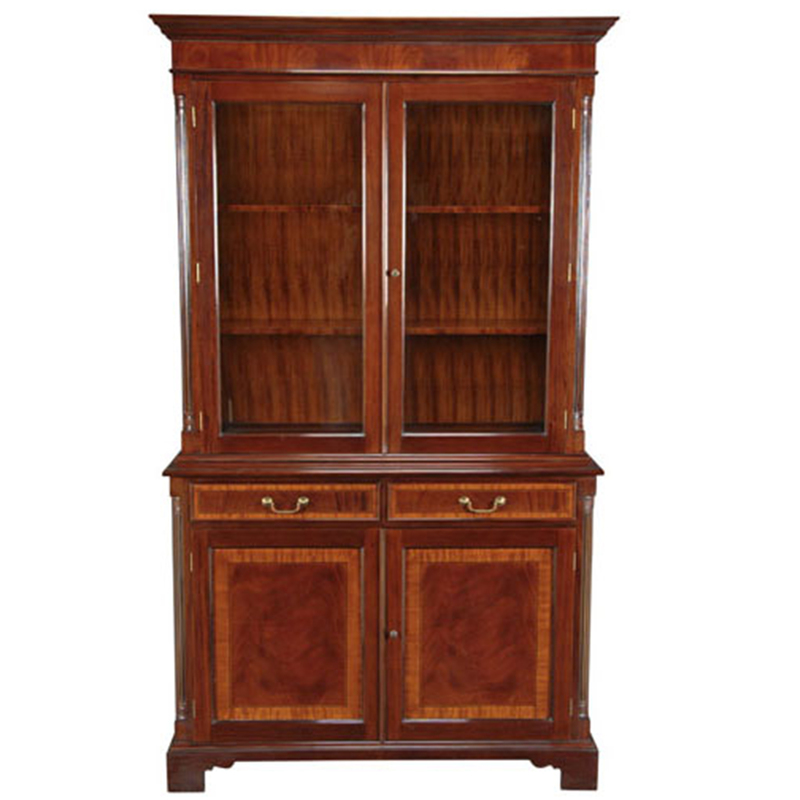 A highly functional and decorative two part Mahogany Tall Bookcase cabinet resting on shaped bracket feet. 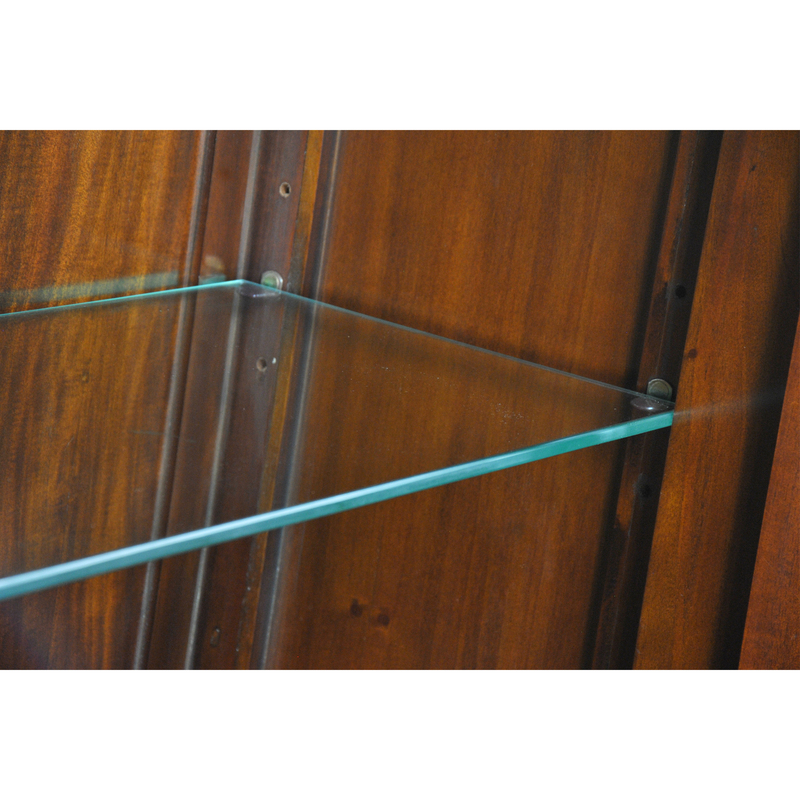 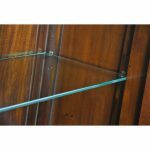 Large doors without lattice work allow for full presentation of your decorative items while glass shelves in the top section allow for light to illuminate your display pieces. 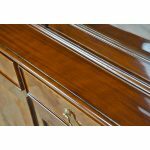 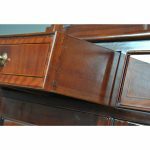 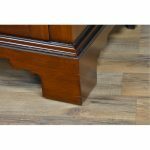 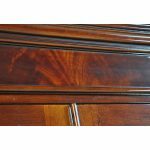 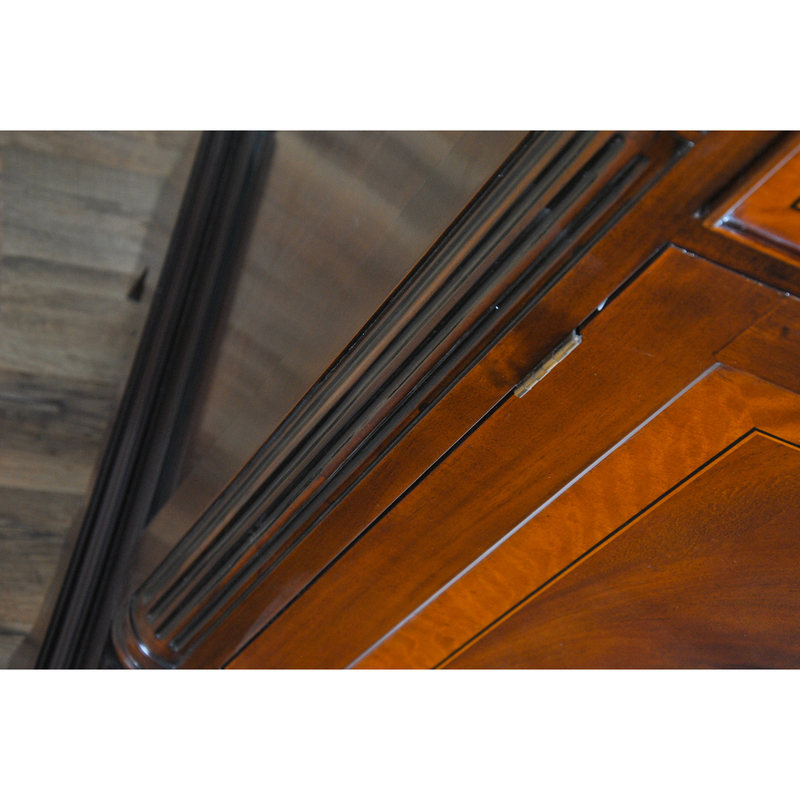 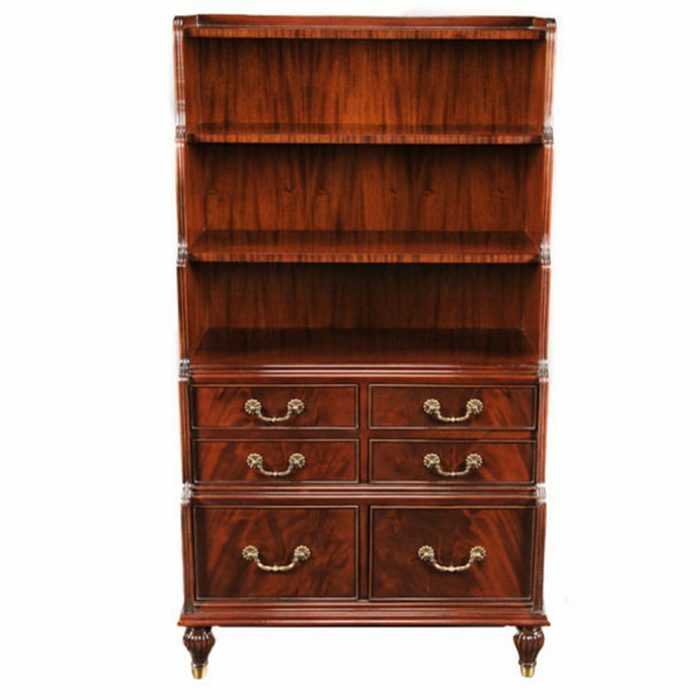 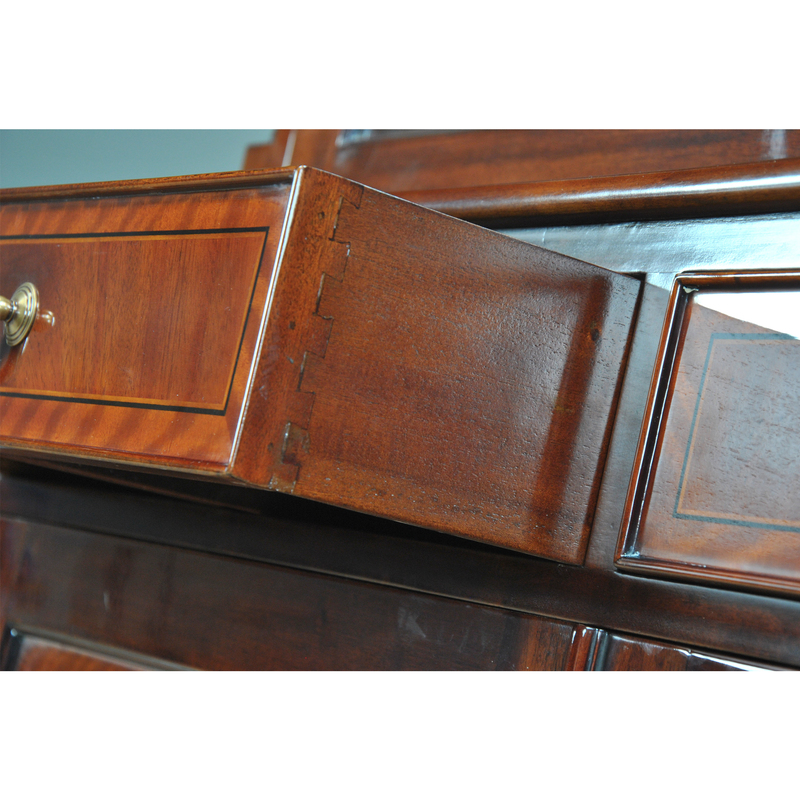 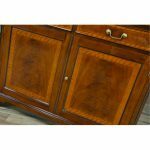 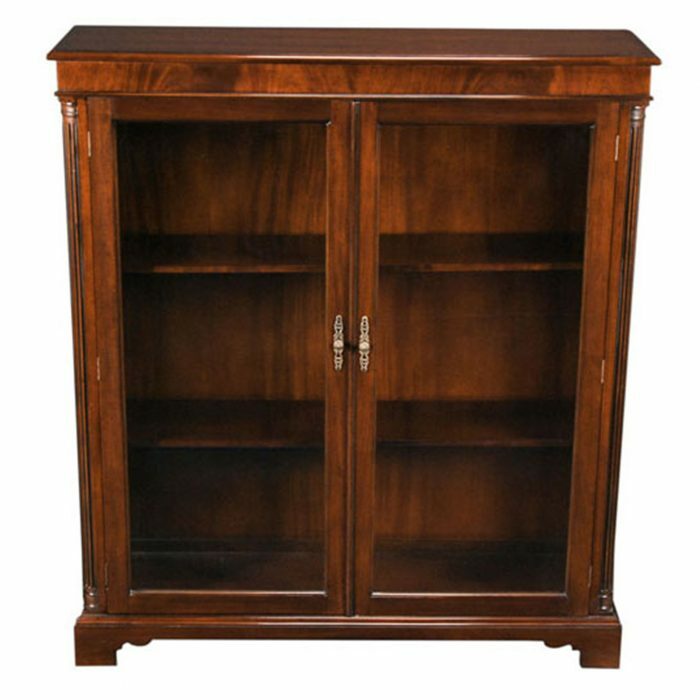 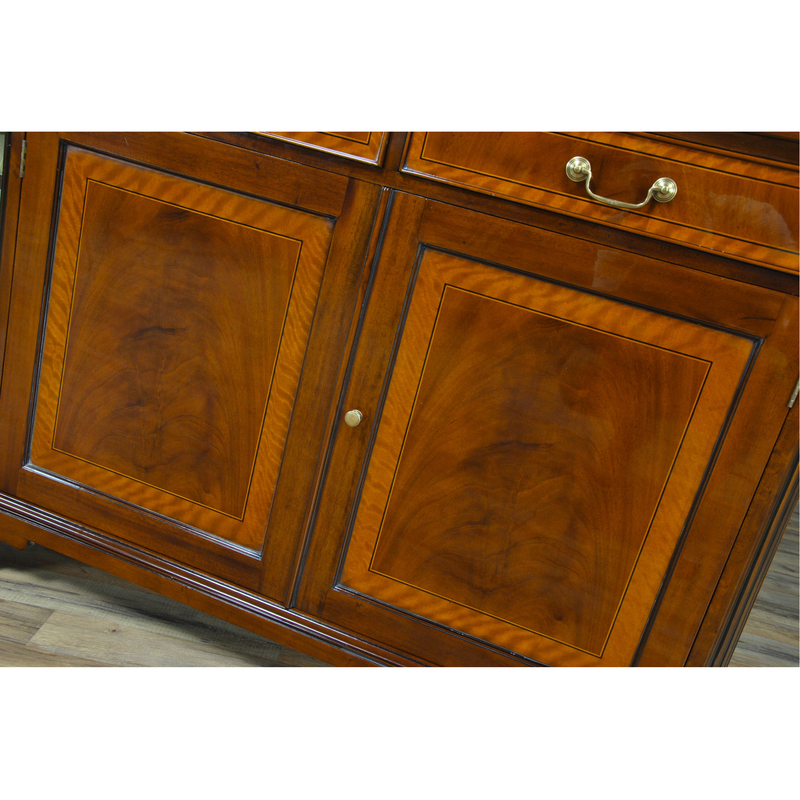 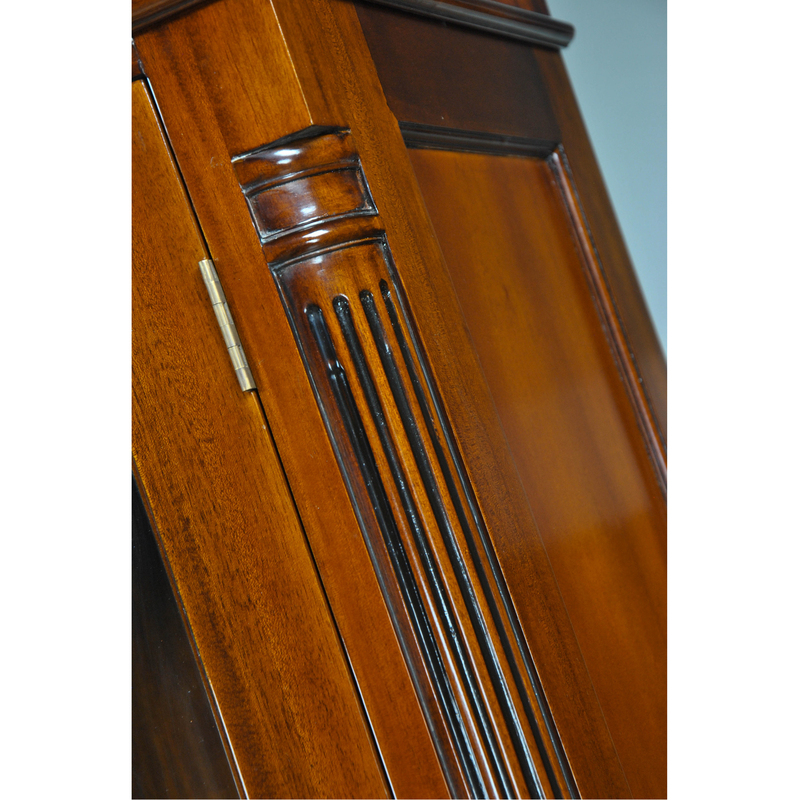 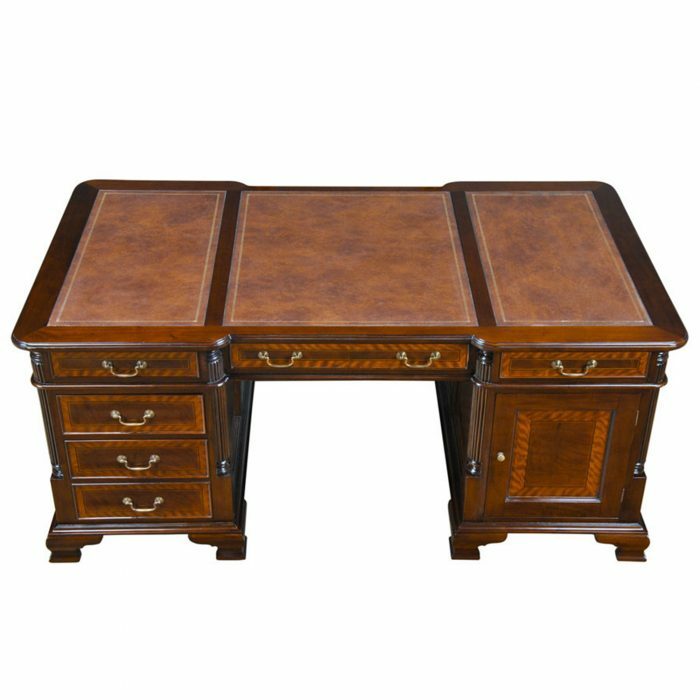 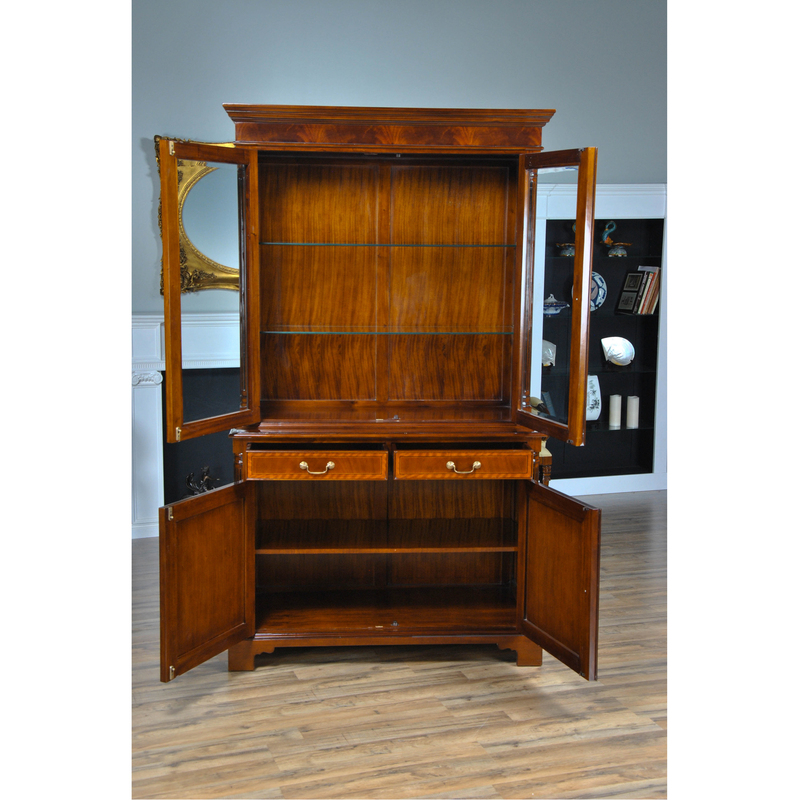 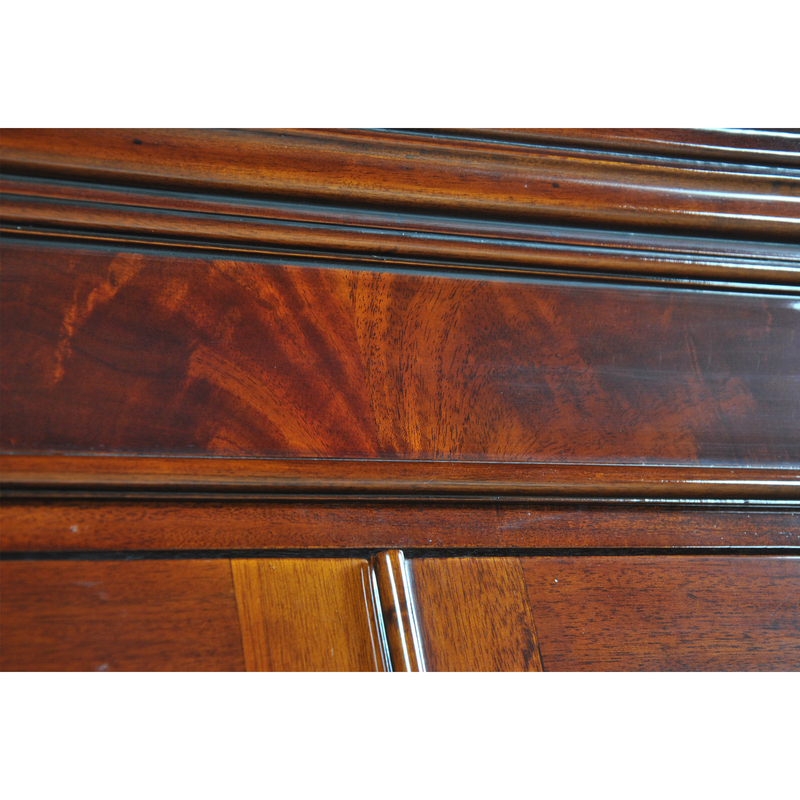 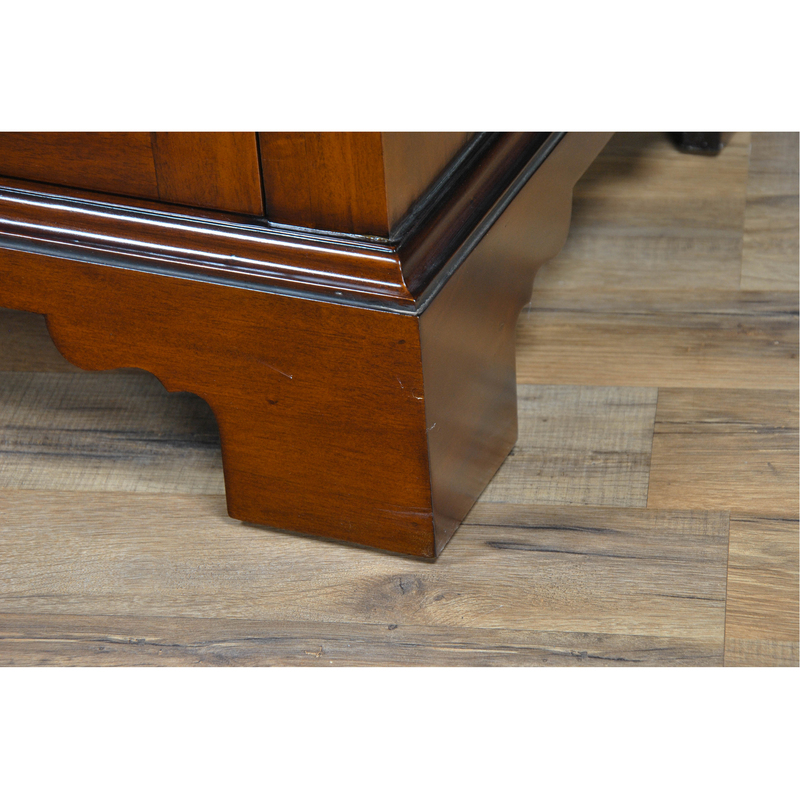 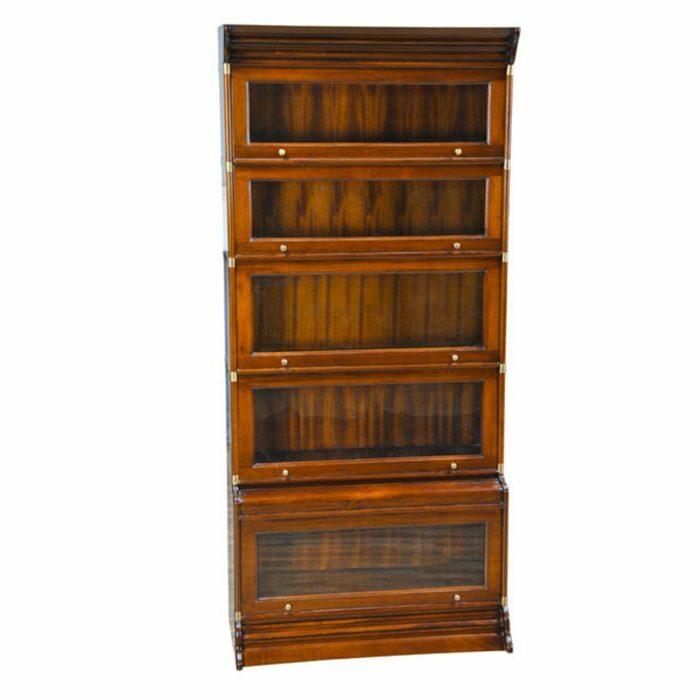 The bottom section of the Mahogany Tall Bookcase features two banded drawers over top two satinwood banded doors which open to reveal a large storage area with one wooden shelf. 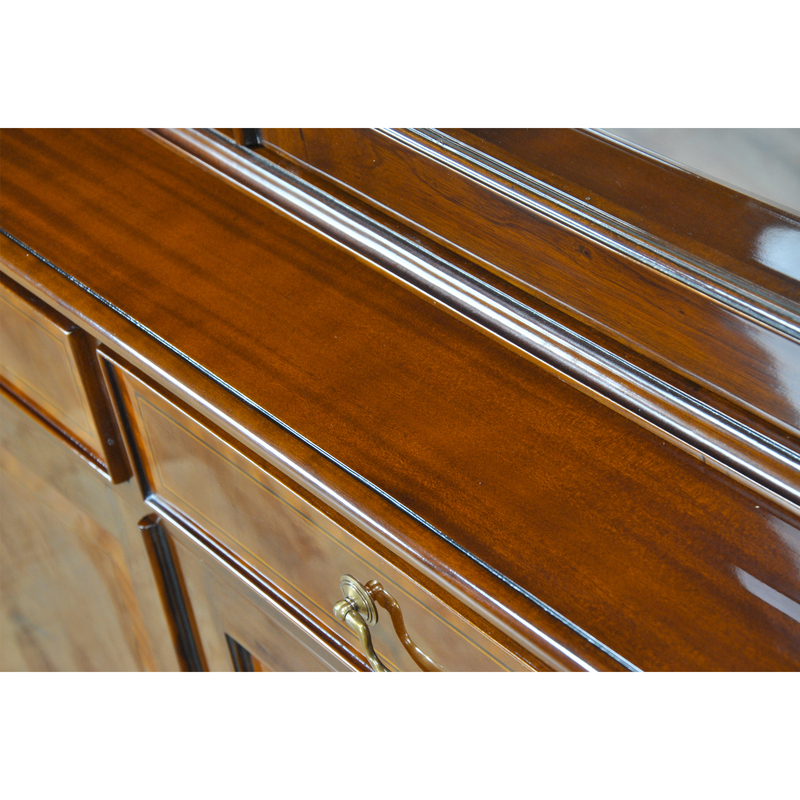 All finished in a laborious seven step process for an illustrious sheen.